N A I L S B Y J E M A: Chevron Nails With A J and KITTENS!! Today I have for you another 'letter' mani. Polishes used were OPI 'Unfrost My Heart', 'Do You Lilac It? ', 'Alpine Snow' & 'Black Onyx'. 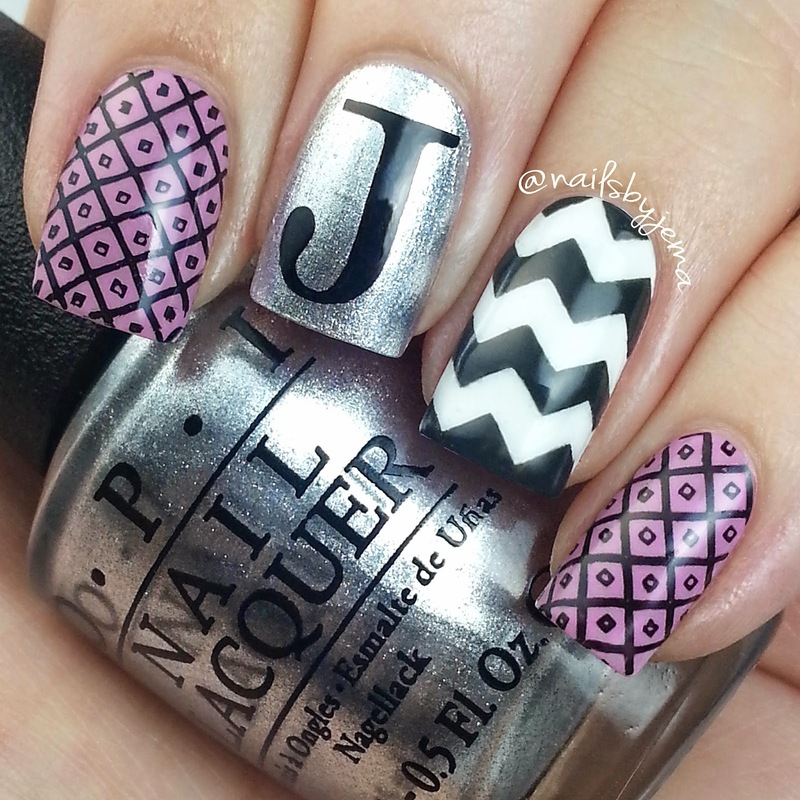 Large chevron vinyls by @teismom and Bundle Monster Plate BM-417. overseas through email order only. Email me at nailsbyjema@gmail.com to enquire about pricing. as I will obviously need to include postage costs onto your order. 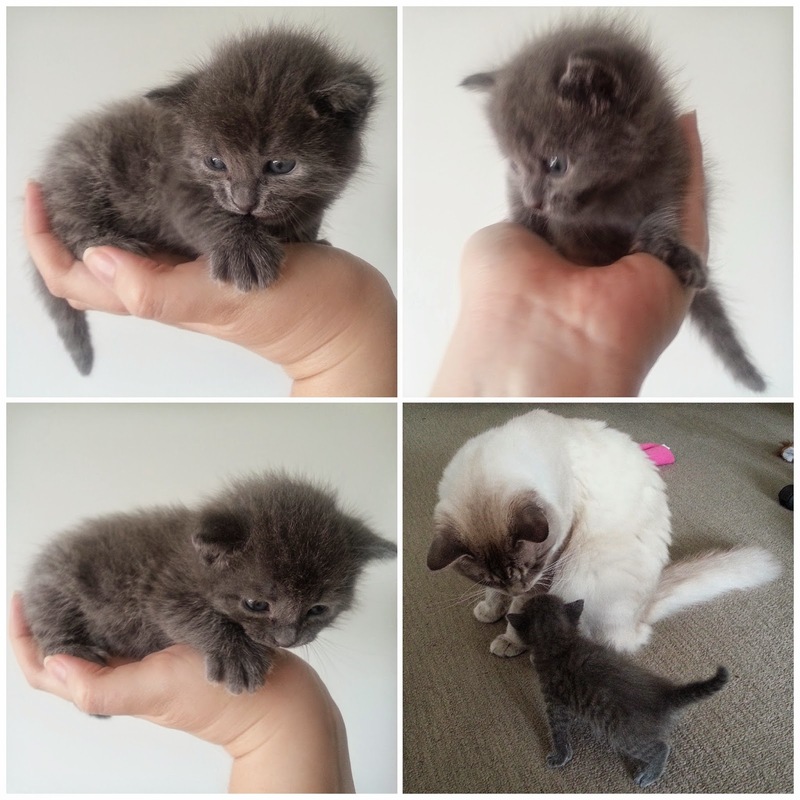 I have no tutorial for these because on the 15th I was asked to foster three two week old kittens. Their mum was attacked by a dog and is in hospital so I'm playing mum and bottle feeding them while she hopefully recovers. 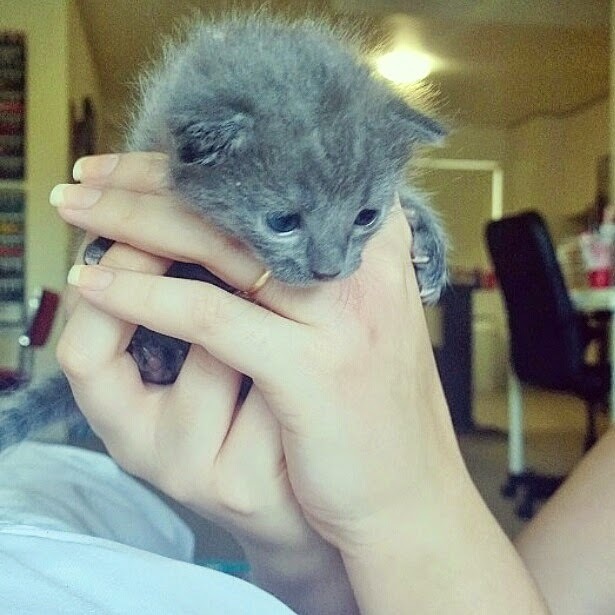 Two weeks old and oh so small. 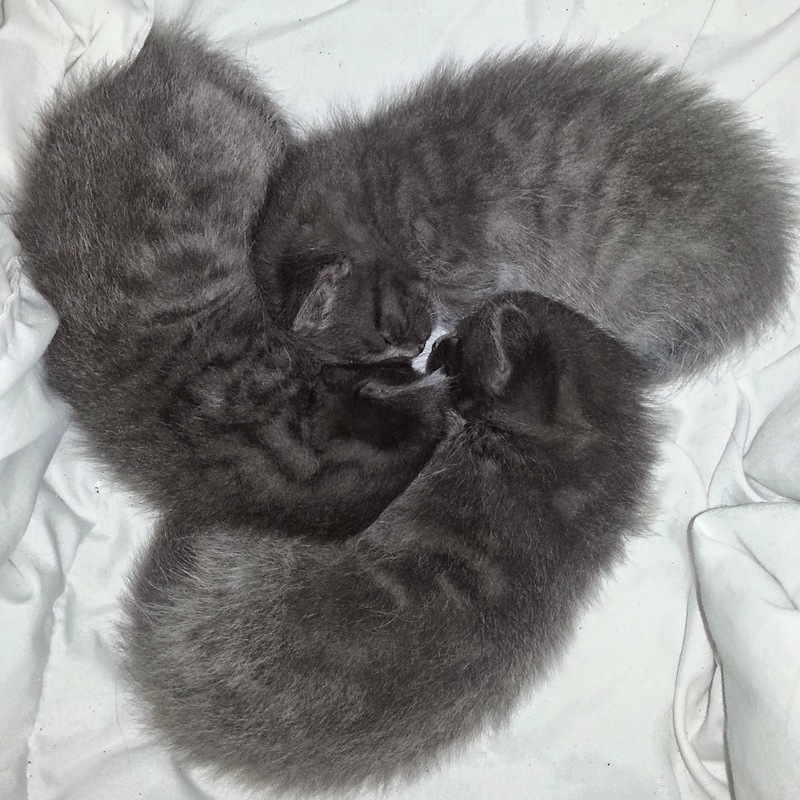 So I'm super busy feeding and toileting kittens (They are still too young to use the kitty litter) ♡♡ They are pretty much identical except for size. Thats why I call the smallest one (the only girl) Minnie, the biggest is Max (who has stronger stripes than the other two) & the middle is Malcolm.. because Malcolm In The Middle. Malcolm is extremely affectionate. I adore him.